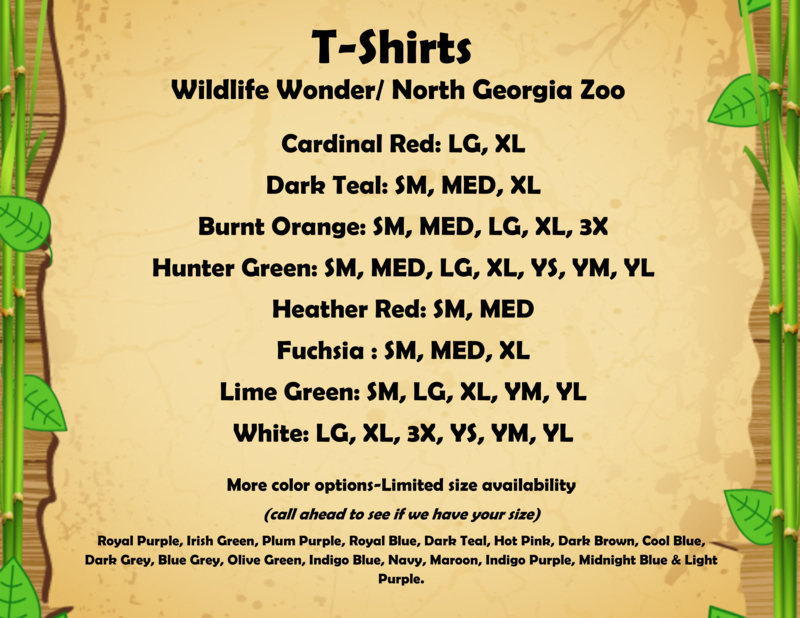 The original North Georgia Zoo "Volunteer" T-Shirt! What a Classic! Come in white only. Adult & Youth sizes available. Love the zoo? 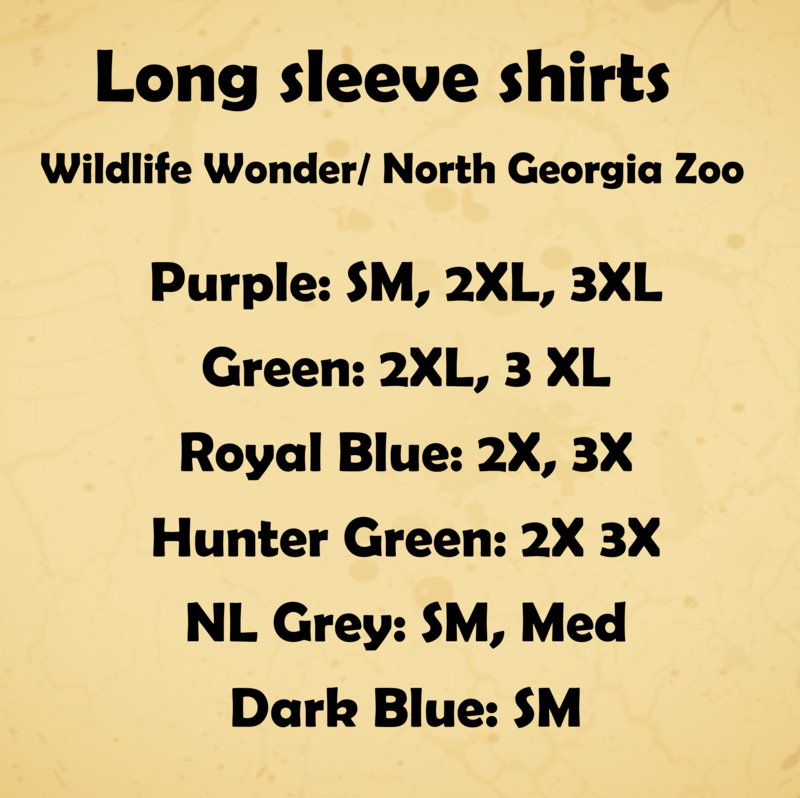 Then get an authentic North Georgia Zoo / Wildlife Wonders t-shirt just like those worn by the staff. Comes in a variety of colors. Available in adult &youth sizes. Limited size availability, please call ahead of your purchase to insure availability. Click here for a list of available colors/ sizes. Wear this cap at the beach, boating, barn, or really anywhere to show how much you love North Georgia Zoo. Wolf logo inspired by our own wolf Gideon. We only have the Beige ones currently available. Just like our t-shirts but with long sleeves for those cooler evenings. Available in a range of colors. Limited size availability, please call ahead of your purchase to insure availability. Click here for a list of available colors/sizes. 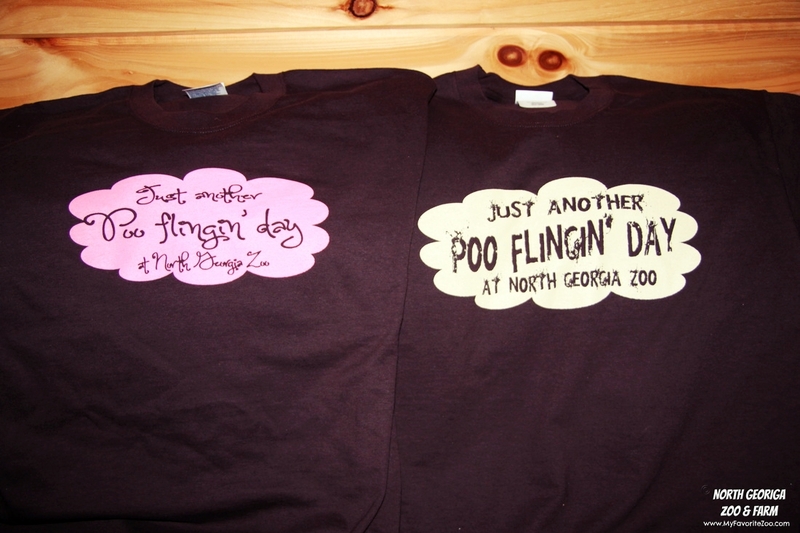 Show the world how it really is at the zoo. Adult & Youth sizes available. We have a limited amount of these shirts, especially youth sizes so please be sure to call ahead of your purchase to insure availability.